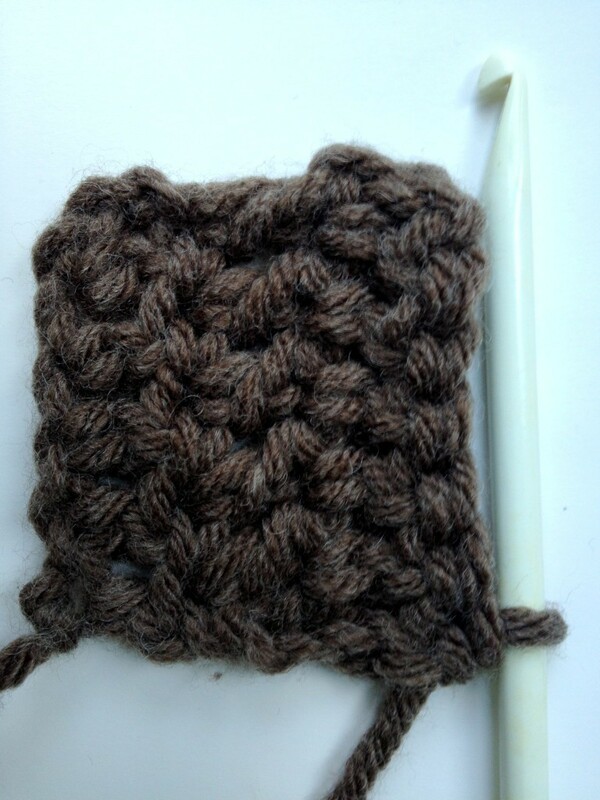 To start double crochet use already active loop on your crochet hook. Wrap your yarn around the hook and insert your hook into the spot where you want to work the double crochet. Then wrap your yarn around the hook again and pull it back through your project, you should have three loops on your hook at this stage. Wrap your yarn around the hook for the third time and pull it back through two first active loops, now you are left with two loops on the hook. Wrap your yarn around the hook for the forth time and pull it back through two last active loops to form a single loop.